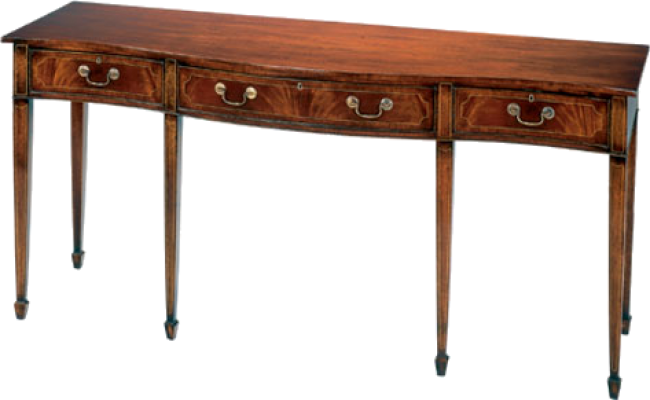 Three drawer serpentine console/sideboard on square tapered legs terminating in spade feet. Antiqued solid brass hardware. Pictured in Mahogany with Satinwood stringing.